Musical Memories is a collection of links to music that I have enjoyed for many years. It is from the era of the fifties, sixties, and beyond. It reflects a time of playing in the S.R. 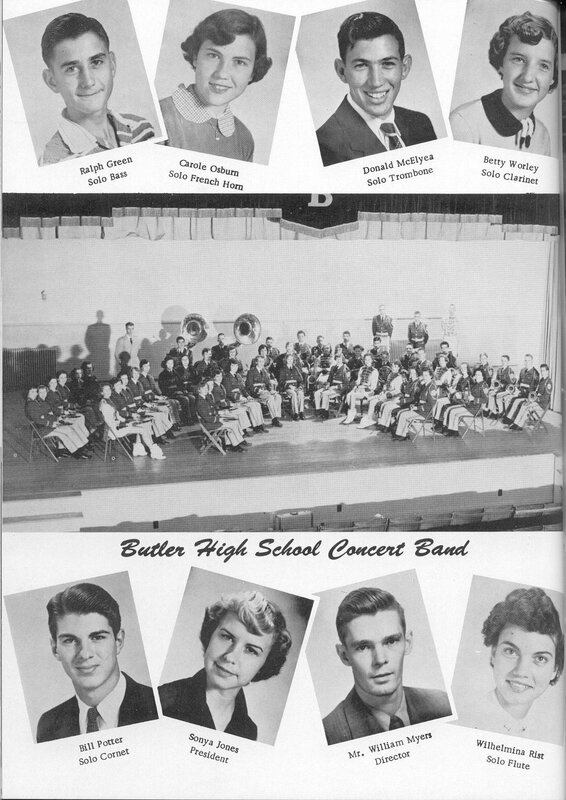 Butler High School Band, both the marching band and the concert band. During this time several of us (5 in fact) organized a “Hungry Five” band and played for local organizations and a couple of spots on television. 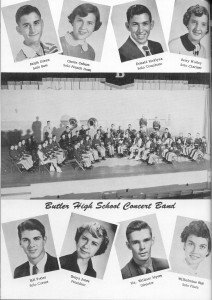 Prior to getting involved in the Butler band in the 9th grade, I was taking guitar lessons which I dropped upon joining the band. I also substituted several times with a local dance band, and played with the Huntsville City Band. I played with the 142nd Army Band as a regular member in Huntsville, AL, and also at Fort Hood, Texas. All activities involving music were an enjoyable contribution to my life.